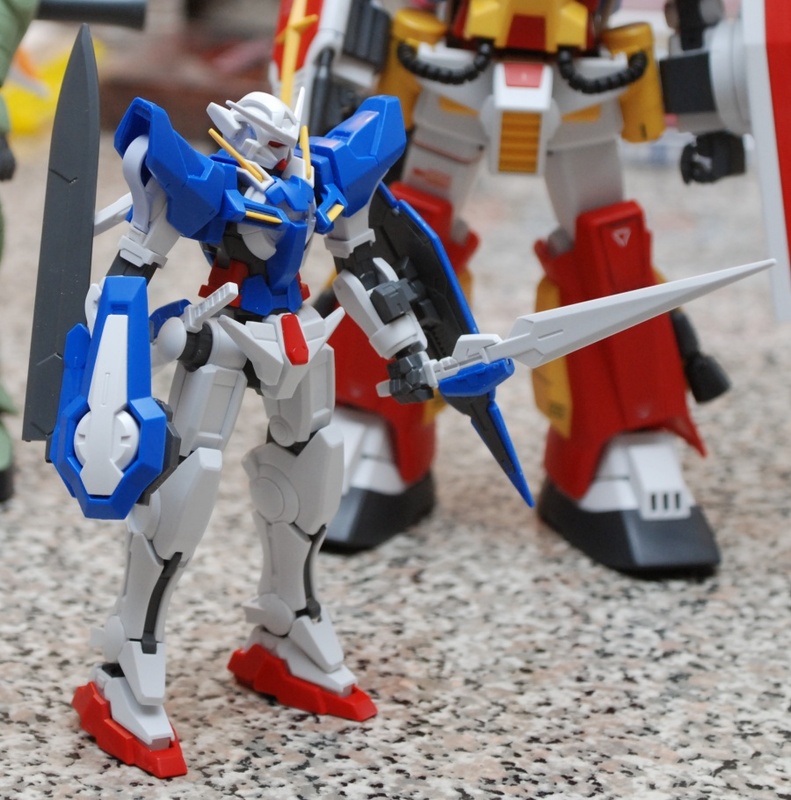 Just finished assembling the HG Gundam Exia. It’s good and when the weather is warmer I’ll probably paint it. Except for the shoulders, the whole thing breaks up for easy painting. 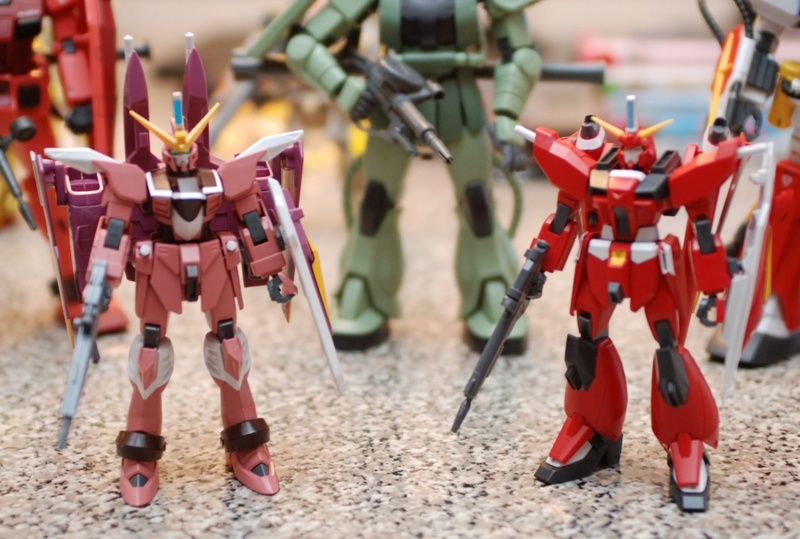 Behind it are the MG Zaku II ver 2.0 and the MG Perfect Gundam; their not mine Stefan brought them over. 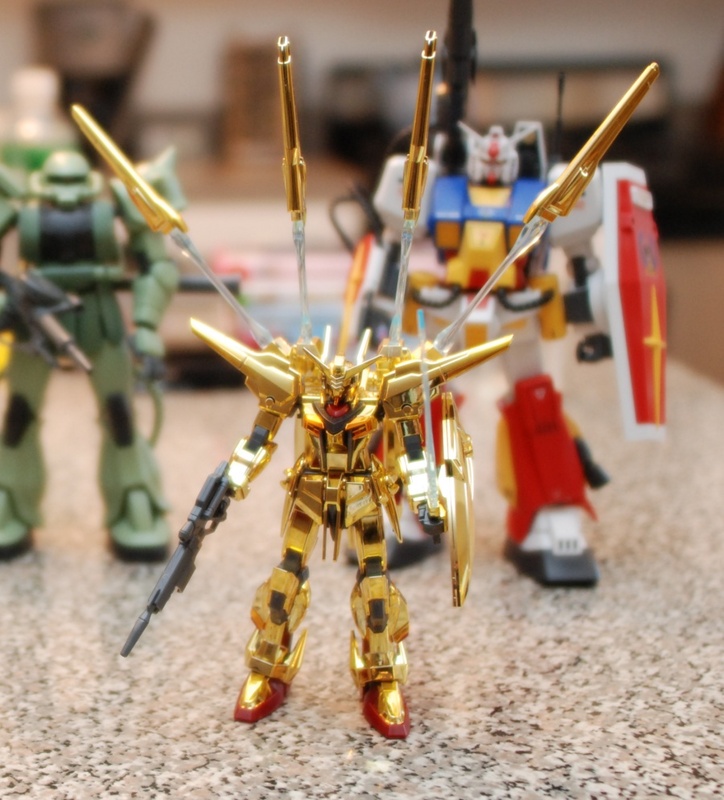 The Akatsuki was for my girl, the Justice Gundam was for the boy. They’ve both asked me to make more 🙂 .